Two New Ways to Quickly Access Forms! As of September 19, 2012, the CyberClient (the exclusive website for our clients) login page will be revamped. This new page will provide quick access to the most widely used Group Insurance forms and documents without having to sign-in. 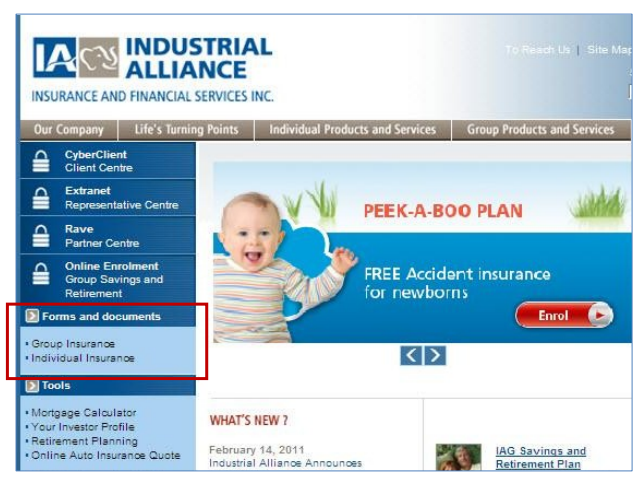 To access them, all you and your plan members have to do is click on the Group Insurance division. 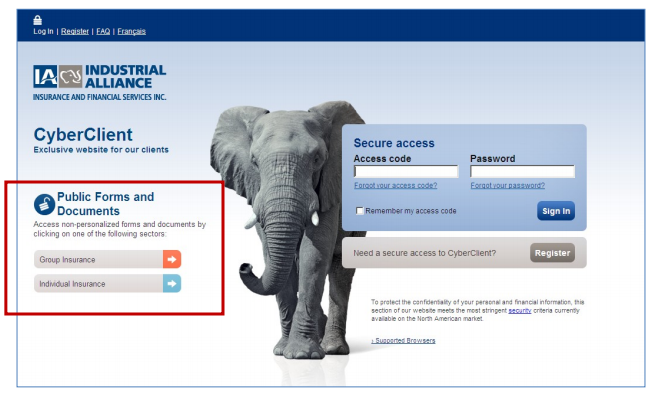 Your access to Web@dmin remains unchanged and will be available when you sign-in to the Secure access section. Your plan members’ access to their personal file remains the same. Also as of September 19, users will have access to the forms and documents directly on our website’s homepage at www.inalco.com. Users can easily access them by clicking on the division they wish to view, in the Forms and Documents section of the menu on the left. It’s that simple!